#SEOchat is a weekly Twitter chat where in-the-know digital marketers across the country compare notes. 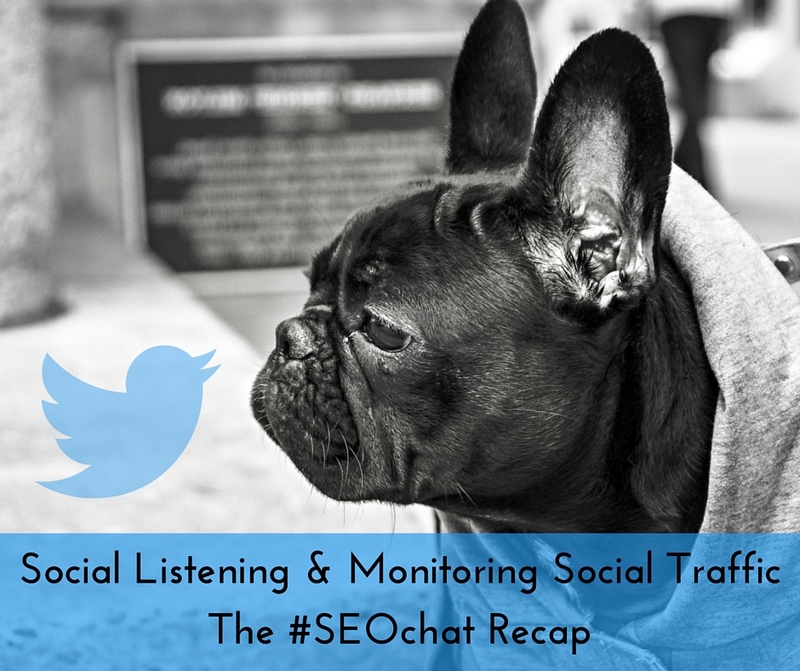 Last week we hosted the chat and the hot topic was monitoring social media traffic. We discussed KPIs, paid and free tools — plus how to use this data once it’s gathered. Here’s what we learned! Here’s the complete list of the tools that received shout-outs during SEOchat. Here’s are some of the says digital marketers are leveraging the data they are pulling from social media monitoring and analysis. You can get a complete transcript of the chat here. Join #SEOchat every Thursday at 10 a.m. PT/1 p.m. ET. #SEOchat is a great opportunity to ask questions, get answers and share insights with industry leaders and the engaged digital marketing community. Read more about #SEOchat here. Thankyou so much for such a marveloous list of tools i have no words to say you thankyou…your list of tools as an seo made my day..
How can we use Canva for social media ? Its a designing tool know ? Buffer is a great tool as it also have an android and iPhone app so we could see the analytics right from our mobile. Hey Kristi! Whoa such an useful tools to analyze social media & general SEO check up, From some of the above, I didn’t heard, Thanks for sharing core trick for future use! Great list Kristi! Now we are using Hootsuite and Buffer to monitor and post updates to our social media. We also use SEO Profiler as an in-depth analysis of our website. Will share this article! Great list full of nice and helpful tools! But I can see that one, my favorite is missing. Have you ever tried Brand24 for social listening and analyzes? Quite nice, easy to use and efficient tool which is great help in marketing, pr and sales. Worth to take a look at! Thanks for sharing this list of tools.